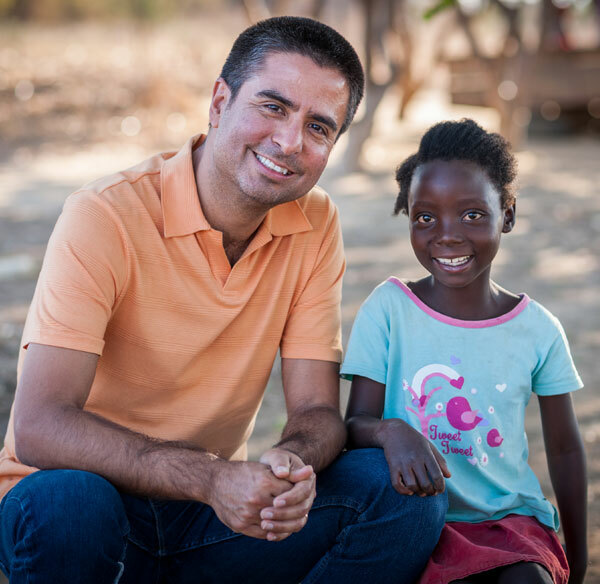 Edgar Sandoval Sr., President, World Vision U.S.
Edgar Sandoval has an unstoppable passion to see that every child - especially the most vulnerable - has the opportunity to experience Christ's promise of life in all its fullness. Born in Los Angeles, Sandoval grew up in Central and South America, where he first witnessed poverty. His own experience with hardship came at age 18, when he returned alone to the U.S. with only $50 in his pocket. He worked minimum-wage jobs while pursuing his college education, starting with courses in English as a second language and later earning bachelor's degrees in industrial engineering and sociology from Rutgers University and an MBA from the Wharton School of Business at the University of Pennsylvania . . .
Edgar Sandoval has an unstoppable passion to see that every child – especially the most vulnerable – has the opportunity to experience Christ’s promise of life in all its fullness. Born in Los Angeles, Sandoval grew up in Central and South America, where he first witnessed poverty. His own experience with hardship came at age 18, when he returned alone to the U.S. with only $50 in his pocket. He worked minimum-wage jobs while pursuing his college education, starting with courses in English as a second language and later earning bachelor’s degrees in industrial engineering and sociology from Rutgers University and an MBA from the Wharton School of Business at the University of Pennsylvania. Edgar was recruited by General Electric and later by P&G, where he learned from some of the world’s best practitioners how to lead, collaborate, innovate, and grow large and complex businesses. Those experiences over a 20-year career enabled him to contribute in significant ways with increasing levels of responsibility to the growth and reputation of an industry-leading corporation. In his last role at P&G, as vice president and general manager of global feminine care, he challenged his team to create a branding and communications campaign that would do more than drive sales but ultimately make the world better for young women. The result, the internationally acclaimed #LikeAGirl campaign, had a measurable impact on culture by turning the common phrase “like a girl” from a pejorative slur to an empowering compliment. Edgar came to World Vision in 2015, hired as chief operating officer, in response to a clear calling he and his wife, Leiza, felt to the ministry of World Vision. Staff, management, and the board of directors have been impressed with Edgar’s leadership as COO. “Edgar embodies World Vision’s core values and has demonstrated his commitment to the mission of World Vision since he joined three years ago,” says Dr. Joan Singleton, World Vision U.S. board chair. World Vision U.S. President Emeritus Rich Stearns says, “He is a collaborative and decisive leader who brings a fresh perspective and a disciplined approach to the challenges and opportunities we face. Most of all, he is clearly committed to Christ and the mission of World Vision.” Surrendering to Jesus Christ at a Promise Keepers conference was a seminal event for Edgar, who was raised Catholic. Edgar cherishes faith and family above career achievements. Leiza, his wife of 27 years, is a former elementary school teacher who was born and raised in Puerto Rico and graduated with a bachelor’s degree from Xavier University in Cincinnati, Ohio. Edgar and Leiza live in Black Diamond, Washington, with their four children: Edgar Jr., 23, a senior business major at Northwest University in Kirkland, Washington. ; Andrea, 21, a high school graduate; Natalia, 17, a freshman business major at Northwest University; and Christina, 14, a homeschool student. Having two daughters with special needs has deepened Edgar’s empathy for the world’s most vulnerable children. On October 1, 2018, Edgar started his tenure as World Vision U.S. president – the role God has prepared for him through all stages of his life. 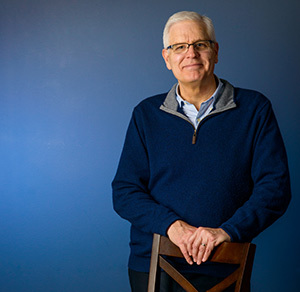 Maximizing resources to lift people out of poverty is Doug Treff’s heartfelt purpose. As CFO, he champions the organizational core value that the resources at our disposal are a sacred trust from God through donors on behalf of the poor — especially vulnerable children. Wise stewardship means not only maintaining supporter trust but also doing what’s right in the eyes of God. Financial accountability has been a hallmark for Doug throughout his career. He spent 20 years in top financial officer roles at Payless Holdings, Sears Canada, Deluxe Corporation, and Wilsons Leather. He oversaw investor relations, external communications, information technology, legal services, and human resources. He continues to serve in the for-profit realm on the board of directors for Crocs. Doug earned an MBA from the University of Pennsylvania’s Wharton School and a psychology degree from the University of Minnesota. 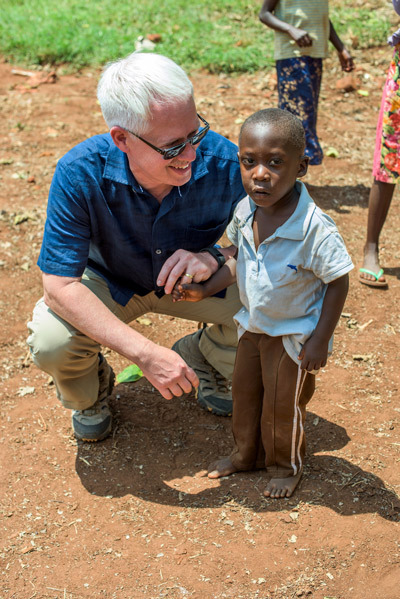 In addition to his corporate experience, Doug was uniquely prepared to become World Vision U.S.’ CFO in 2016, directing finance and legal operations. He had served on the organization’s board of directors. And as a donor to World Vision, his heart was already broken by firsthand experiences with the poor. 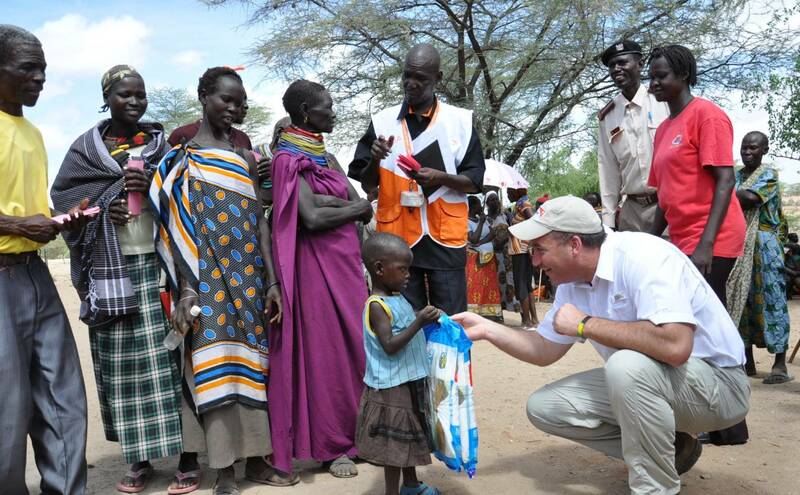 Doug and his wife, Pat, traveled to Kenya, Uganda, and Zambia with World Vision, where they became passionate about clean water, healthcare, education, and economic opportunities for vulnerable children and their families. The couple were members of World Vision’s National Leadership Council, a community of Christians highly committed to supporting and advancing World Vision’s work. Doug and Pat have two children and live in Bonney Lake, Washington. Christine Talbot is passionate about creating an empowering work environment in which all team members can unleash their unique talents and gifts to fulfill World Vision’s mission of life in all its fullness forevery child. Leading the engagement, nurture, and development of over 1,000 employees and leaders across the U.S., Christine encourages the faith-driven workforce to live out World Vision’s core values: We are Christian, we value people, we are stewards, we are partners, and we are responsive. Joining the organization in 2015 fulfilled Christine’s long-held desire to marry her professional skills with Christian ministry work serving those in need. She brought more than 25 years of experience in human resource leadership for healthcare and telecommunications companies. At World Vision U.S., Christine has focused on organizational health and staff well-being. Christine earned a bachelor’s degree in psychology from Wheaton College and completed graduate coursework in human resources at Benedictine University. Later she participated in an executive education program at the Harvard Business School. A longtime champion of women’s career and leadership development, she serves on the advisory group for Christian Leadership Alliance. Living in the Seattle area since 2015, Christine finds joy in cycling, kayaking, and exploring the Pacific Northwest. Christian leadership is a high calling for Chris Glynn. It means recognizing people’s gifts and creating an environment for followers of Jesus to contribute, collaborate, and thrive. That’s the style of leadership Chris embraces as he guides World Vision U.S.’ philanthropy, corporate giving, and domestic ministry teams. Before coming to World Vision, Chris spent more than 20 years helping transform Fortune 500 companies and private enterprises to become more efficient and profitable. But he felt God’s prompting to use his skills for a higher purpose. Chris joined World Vision in 2010, having been aware of the organization as a child sponsor. In his role at World Vision, he ministers to his staff, equipping them to serve most effectively in the kingdom of God. His teams create dynamic partnerships that deliver significant investments of time, talent, and treasure – resulting in lasting change for children and families around the world as well as for World Vision supporters. Under Chris’ leadership, World Vision’s Campaign For Every Child raised more than $500 million over five years, impacting more than 25 million people in 19 countries. An expert in the Lean Six Sigma method, Chris earned his MBA at Eastern Michigan University, and he holds a management degree from the University of Massachusetts Amherst. He serves on the board of VisionFund and chairs the Seattle Christian School Board of Trustees. Chris and his wife, Chris, live in Seattle with their two daughters. 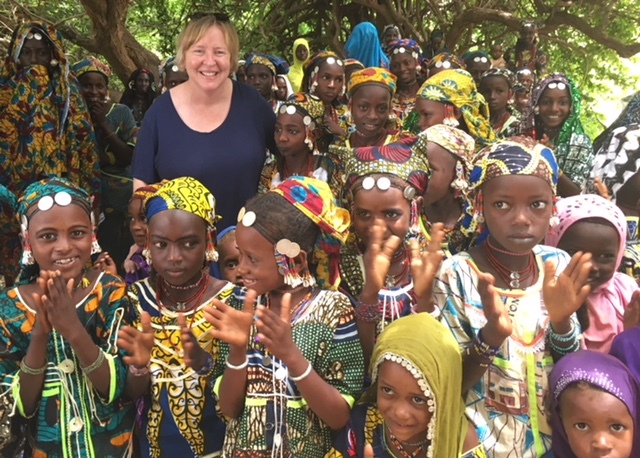 As comfortable in a D.C. conference room as out in the field, Margaret Schuler enjoys witnessing transformation on both sides as American supporters engage with families in the developing world to eliminate extreme poverty. Margaret leads World Vision U.S.’ Washington, D.C., office and oversees a global portfolio of projects focusing on the most vulnerable women and children in both emergency and development contexts. As a champion for World Vision’s advocacy efforts, she has testified before Congress on issues affecting children and the poor around the world. 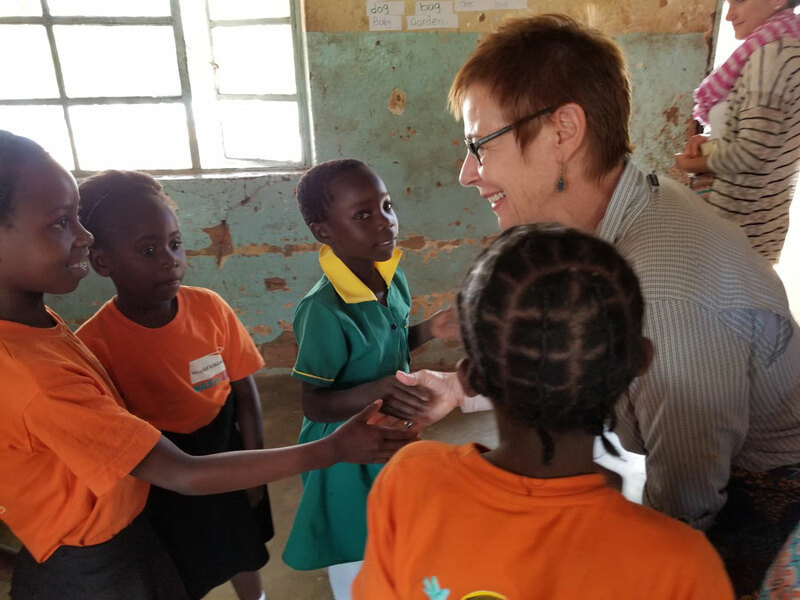 Margaret’s Peace Corps service in Tanzania with Heifer Project International put her animal physiology degree to good use – and it confirmed that global development work was what she was called to do. She earned her master’s in international affairs from Ohio University. Over 25 years, she worked for various humanitarian organizations, including the International Rescue Committee, CARE, Save the Children, and early on, World Vision. Returning to World Vision in 2012, she served World Vision as National Director in Ethiopia and East Africa Regional Vice President, strengthening the leadership of nine country offices. Margaret keeps the Prayer of St. Francis on her office wall to remind herself of her purpose: to do good in the world in God’s name. She loves engaging with people of all cultures and faiths to improve children’s well-being around the globe. Margaret and her husband, Tsegahun Tessema, who is from Ethiopia, have two children and live in Springfield, Virginia. Edgar Sandoval Sr.* | President, World Vision U.S.
Richard E. Stearns | President emeritus, World Vision U.S.
Rich has brought strong leadership and oversight to World Vision U.S. since 1998, when he left his position as CEO of Lenox to follow what he felt as a distinct call from God on his life. Prior to his tenure at Lenox, Stearns was CEO of Parker Brothers Games. He holds a B.A. in neurobiology from Cornell University and an MBA from the Wharton School of the University of Pennsylvania. In 2009, Stearns was appointed to the President’s Advisory Council on Faith-Based and Neighborhood Partnerships.